Equity Risk: Is the Tail Wagging the Dog? Failing to consider market and other factor exposures overlooks the principal drivers of performance and risks focusing on noise. 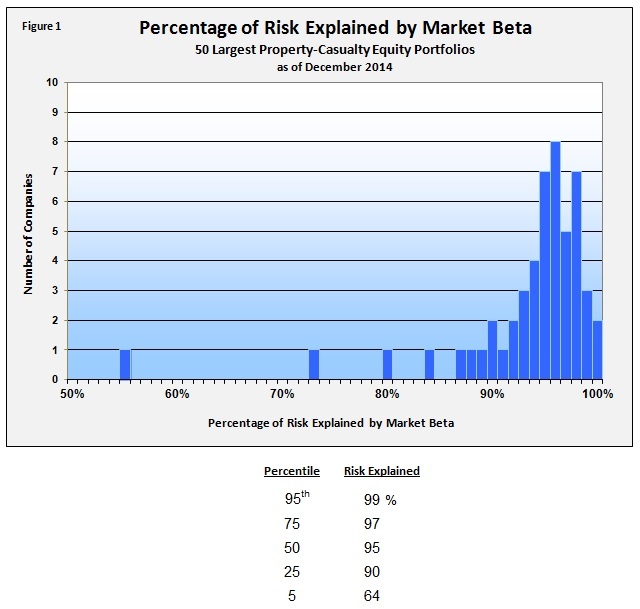 Market exposure (beta) alone explains 95 percent of average property-casualty equity portfolio risk and return over time. Market exposures vary significantly through time for most companies. Market exposures deviate significantly from the broad equity market and across individual PC companies. 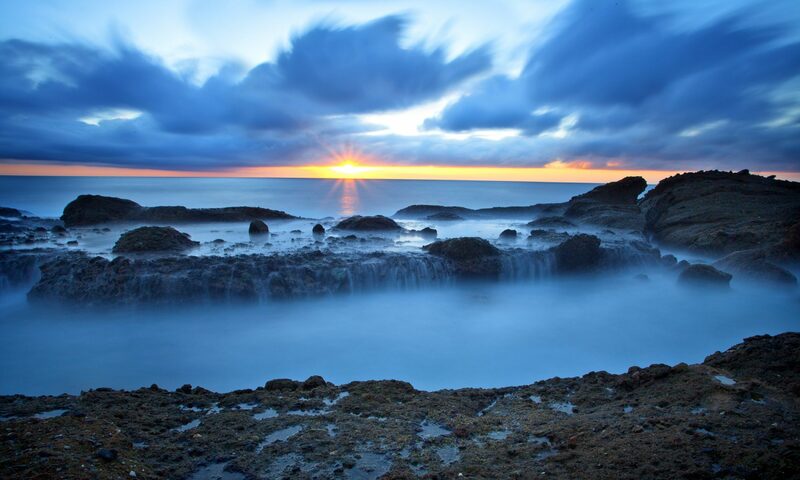 Passive exposures to market and other factors overwhelm the impact from security selection and market timing on risk and return – explaining 98.7 percent of absolute performance and 66 percent of performance relative to the market – for the typical portfolio. We used ABW Peer Analytics Statistical Equity Risk Model to identify sources of risk for each of the fifty largest U.S. property-casualty equity portfolios. The data below summarize our findings. Figure 1 shows the percentage of equity portfolio variance explained solely by market exposure as of year-end 2014. Market beta explained more than 90 percent of risk for seventy-five percent of PC equity portfolios and more than 97 percent of risk for twenty-five percent of portfolios. Figure 2 shows the variation in equity portfolio market exposure over time for the fifty largest property-casualty equity portfolios. The average variation in market exposure was 47% (e.g., a minimum market beta of 0.63 with a maximum of 1.10) during the period. Market exposure has varied significantly for all companies during the period, for some much more than for others. 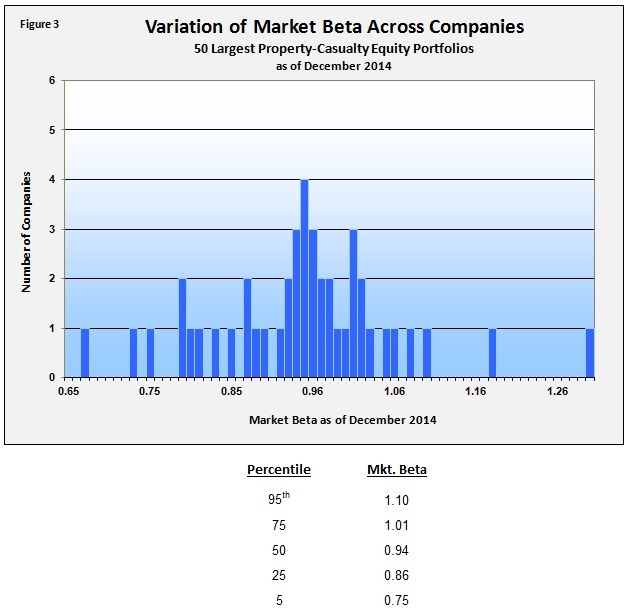 Figure 3 shows market beta for the 50 largest property-casualty equity portfolios as of year-end 2014. 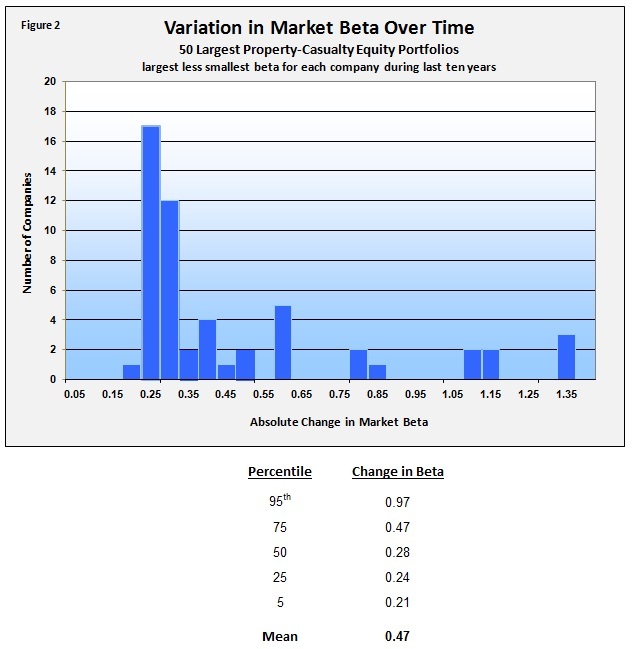 Market beta varied from 0.75 at the fifth percentile to 1.10 at the ninety-fifth. The median market beta was 0.94. 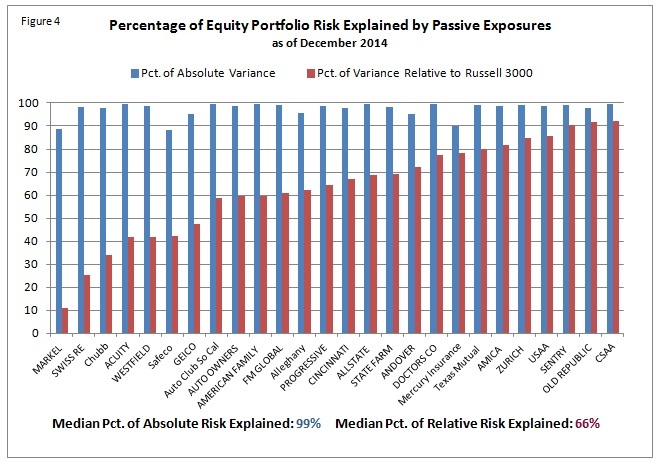 Figure 4 shows the percentage of variance explained by passive exposures to common risk factors (i.e., market, sector, size, etc.) for thirty of the largest property-casualty equity portfolios. Both percentage of absolute variance and percentage of variance relative to the market (Russell 3000) are depicted for each company. At the median, 99% of absolute variance and 66% of relative variance are explained by passive factor exposures. Market and other passive factor exposures vary significantly across companies and through time and are the principal drivers of performance. These exposures should be the focus of equity portfolio oversight. Previous PostPrevious What Fraction of Smart Beta is Dumb Beta? Next PostNext Equity Oversight: Why Should Your Manager Control Your Portfolio Data?